Jane Rode Eyre grew up in Woolwich, NJ. She graduated from Kingsway Regional High School and Rowan University with a degree in Fine Art. 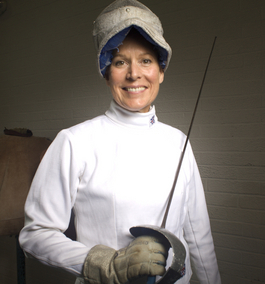 She started fencing as an adult and has excelled in national and international competition. Jane has been coaching and teaching fencing for the last 20 years. She now owns and runs her own club, Infinity Fencing Alliance, in Woolwich Twp, NJ. She is a 10 time National Champion and 40+ time gold medalist in United States Fencing Association national tournaments. Internationally she is the 2005, 2010, 2013, 2014 & 2015 & 2016 & 2018 Veteran Women's World Sabre Champion. 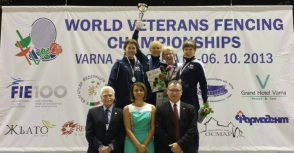 Jane also medaled at four more Veteran Worlds Championships. In 2011 she took Silver and in 2006 & 2007, 2017 she took Bronze. ​In 2012 & 2016 Jane won Gold in 40+, 60+ and Team event at the Can / Am Veteran Tournament in Toronto, Canada. 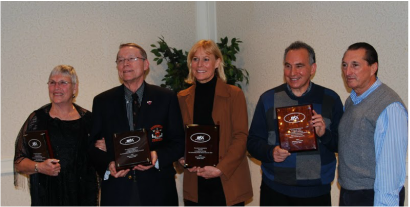 In Oct 2010 the United States Fencing Association Veteran Committee voted Jane the Most Outstanding US Veteran Woman Fencer.